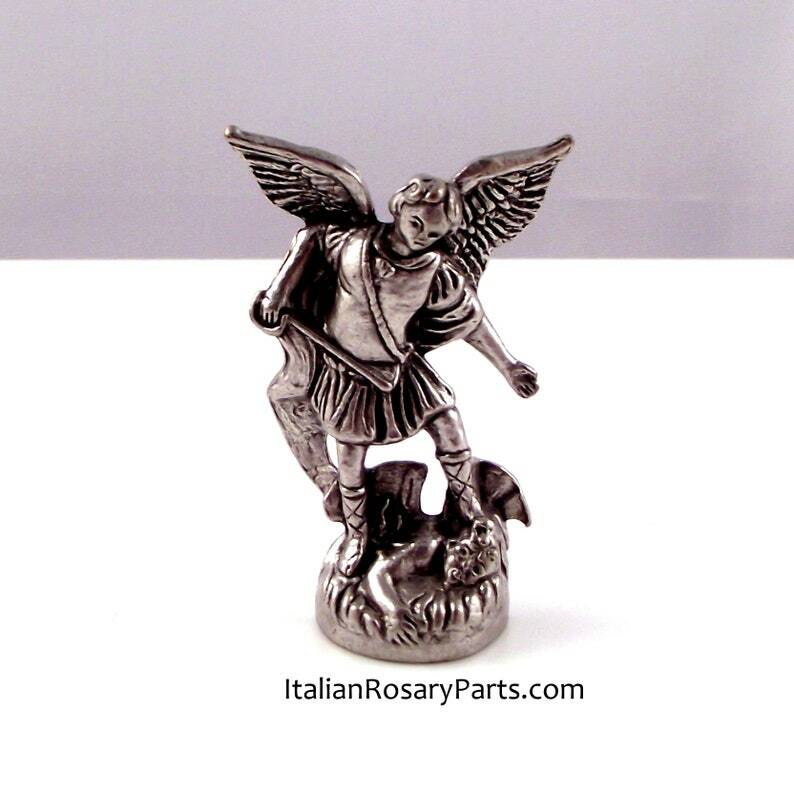 Saint Michael the archangel miniature statue. Perfect for your home shrine, nicho, or just to carry in your pocket. Made in Italy. Nickel silver alloy. Measures 1-1/2 inches high.